Some brands are using Instagram to go from small operations to nationwide players. There’s no secret formula involved—all it takes is an understanding of what people want to see when they use this photo-focused social network. Photography used to be a special skill available only to those who had the right equipment, but now that everyone has a camera in their pockets at all times, we have hundreds of opportunities every day explore our inner Diane Arbus or Ansel Adams. Instagram managed to establish itself as one of the major social networks thanks to this impulse to take photos, make them as beautiful as possible and show them off. Ultimately, Instagram is all about the aesthetic. While Twitter is really all about the words and Facebook can accommodate a blend of different media inputs, Instagram is the social network for users who care about curating what they see. Brands that make use of the design focus on Instagram tend to do best, even when they don’t start out with a high profile. For example, Halo Top, an independent ice cream brand, represents one of the best Instagram marketing success stories in the platform’s history. By embracing the basic motivations that draw users to Instagram in the first place, Halo Top managed to gain hundreds of thousands of followers. Take a look at Halo Top’s feed and you’ll see a stylish, aesthetically unified and focused presence that truly takes advantage Instagram’s sleek, gallery-like format. While there’s no doubt that Instagram users care a lot about style, arguably more than users of any other popular social network, the platform offers its fair share of substance as well. Instagram can be a great venue for sharing content that’s more meaningful than aesthetically pleasing, but if you’re going to go this route, you’ve got to be smart about how and why people use this platform in the first place. GE has managed to make a big splash on Instagram with its Heroines of Health account. This account, which is separate from GE’s main corporate or subsidiary accounts, is the venue through which the corporate giant is releasing a short documentary called “Heroines of Healthcare.” Rather than showing the entire 30-minute film in one go, GE is using Instagram to break the film into one-minute chunks. The account drew more than 250,000 views within its first week, proving that there is a social network audience for thoughtful content. GE is a massive corporate entity with a lot of marketing firepower, but you don’t need to have their reach to make similar use of the platform. Remember: Halo Top is an independent company that doesn’t have backing from a major corporate parent. Their Instagram follower count has been growing steadily for months, nearly doubling between October 2016 and May 2017. 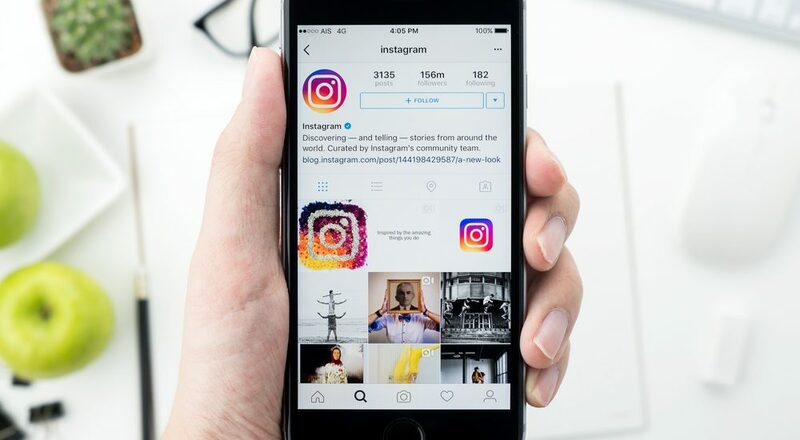 If you build a presence that’s worth seeing and consistently provide well-curated content that users actually want to see in their feeds, you can use Instagram as an effective marketing tool, even if you’re a small brand with a growing profile.